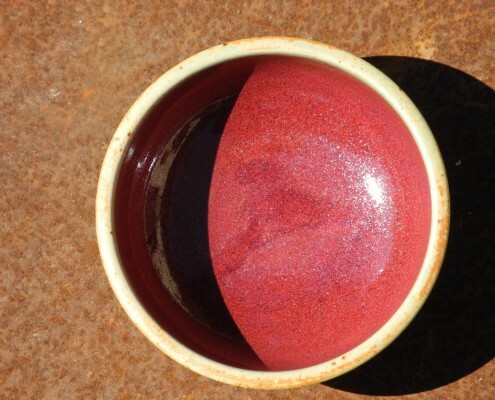 Balducci Ceramics, pottery studio in San Gimignano in Tuscany, Italy. 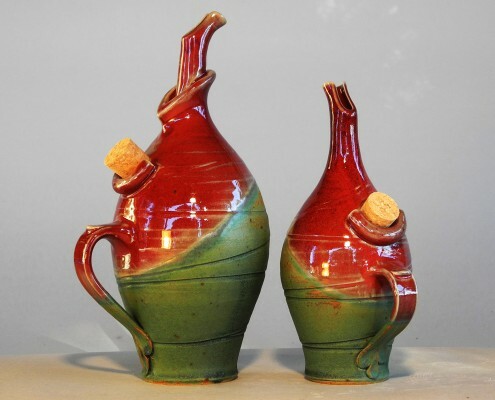 welcome you into the world of ceramic art. 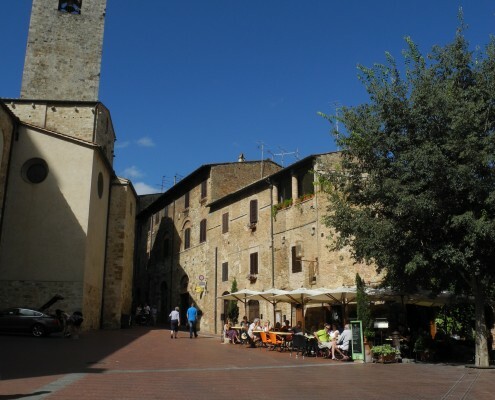 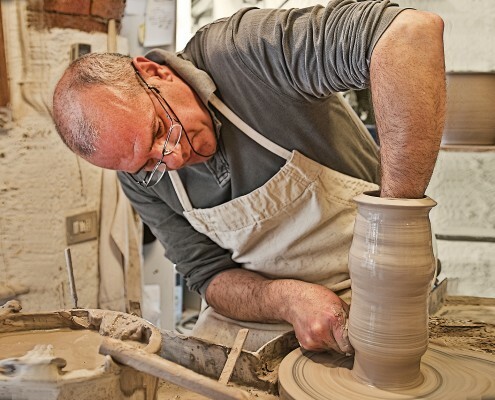 As you walk up from Piazza del Duomo on the right towards the Rocca fortress, by the foot of the Cathedral bell tower, you will find a craftsman’s workshop where art, earth, music and passion blend together in magical harmony. 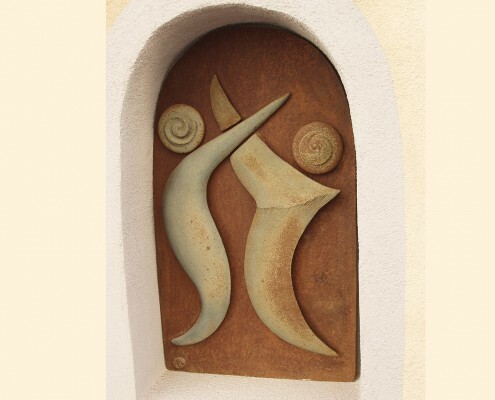 Here, Franco and Esther welcome you into the world of ceramic art. 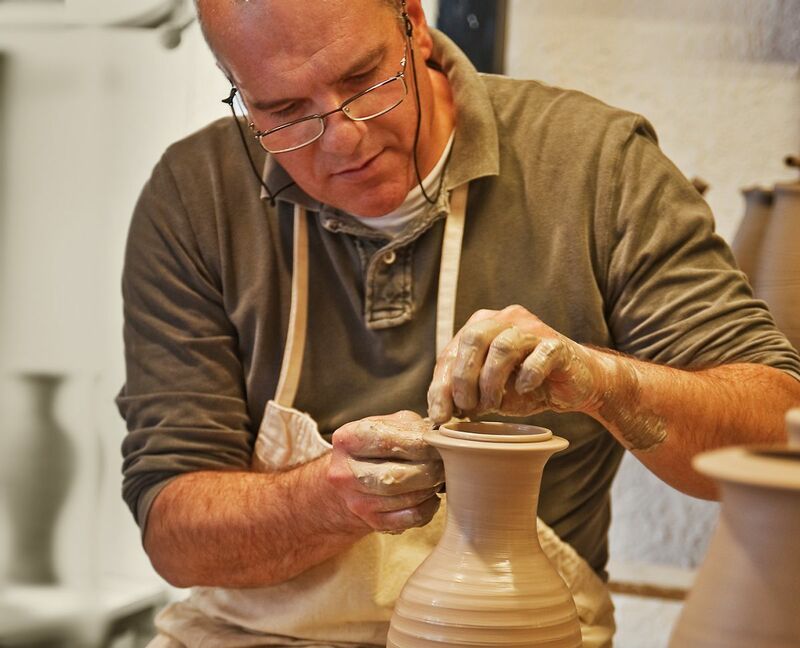 They opened the shop in 1990 to showcase this fascinating ancient craft; you can watch Franco working at the potter’s wheel or Esther making charming clay animals. 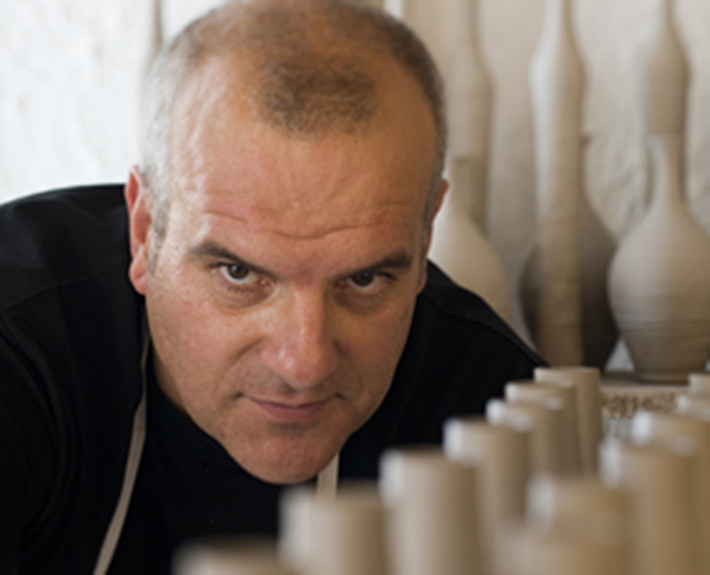 Open from March to November 10 a.m. – 7 p.m.
Franco Balducci is a ceramic artist with more than thirty years of experience who has specialised in high-temperature techniques (1300°C) using various types of stoneware, mainly from northern Europe. 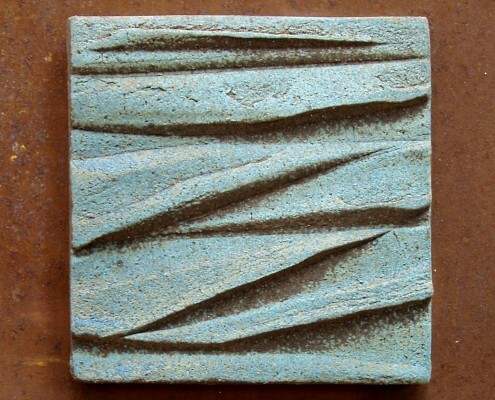 Research on materials, forms and colours has always been very important in his work. 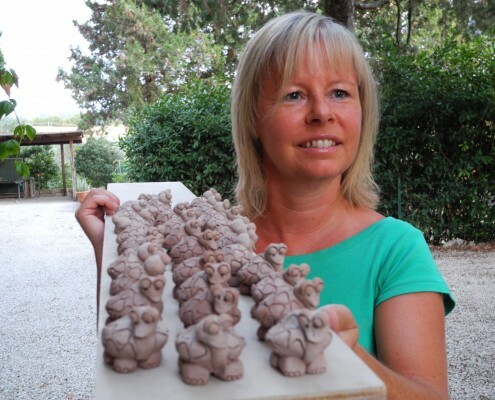 Esther has lived in Tuscany since 1985 and works with her husband Franco in the craft workshop. 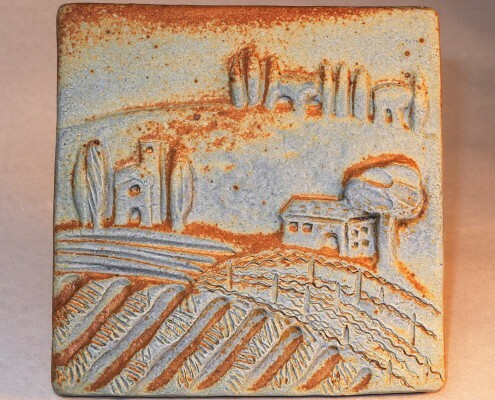 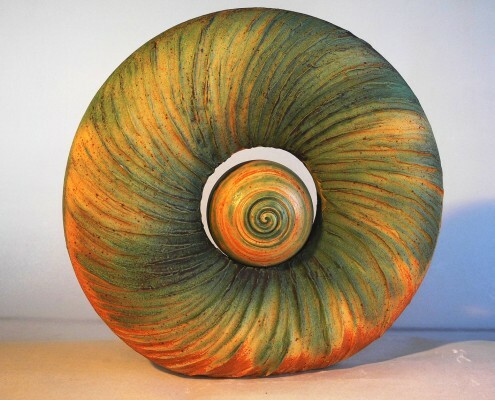 Using slab and bas-relief techniques, she makes tiles depicting Tuscan landscapes and of abstract designs. 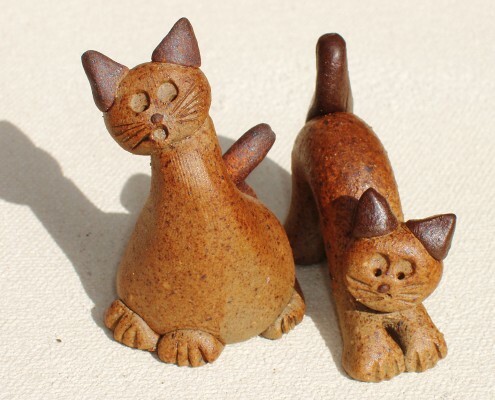 She also hand-crafts charming little clay animals which enchant visitors with their original expressions.